Natare stainless steel swimming pools feature a wide range of shapes, sizes and interior finish options to accommodate any facility. Natare stainless steel provides outstanding durability and functionality while delivering economical solutions for construction. Natare’s pre-engineered systems provide cost-effective solutions that make it possible to construct in the most challenging environments. Natare Corporation is composed of expert-level professionals that are dedicated to making your project ideas come to life. Natare’s state-of-the-art competition pools reduce waves and surge, creating the neutral pool environment ideal for competitive swimming. Natare filtration systems include all required pumps, valves, controls and media. Our systems are certified to produce pristine water quality with low maintenance operation. 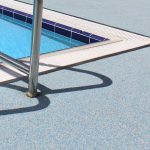 Natatec lining systems are custom-fitted and bonded on-site to provide an easily-maintained, 100% watertight and virtually indestructible pool surface. Natare delivers the technical expertise, specialized knowledge and years of critical experience that are vital to the design, engineering and construction of an aquatic facility. By individually tailoring equipment and systems, Natare is able to provide the essential components for projects of all shapes and sizes. Natare has been involved in hundreds of public pool projects, municipal and community aquatic facilities. We ensure all pools and water features are compliant with all local, state and federal regulations; and just as importantly, completed on time and on budget. Natare can assist with the bidding and planning process, and we’ll see your project all the way through installation. Natare pools provide the neutral pool environment essential for training and competition; the various competition pool components work together efficiently and economically. Competition pools include the standard 25-yard, 25-meter and 50-meter pools in configurations suitable for all levels of competition and training, including Olympic swimming. Natare designs, builds and installs fitness and therapy pools tailor-made to fit the needs of health spas, athletic training facilities, hospitals and rehabilitation clinics. Our unique systems meet the needs of today's most innovative spa and gym designs and the special requirements of hydrotherapy and aquatic exercise. Natare has designed, built and installed some of the most impressive and awe-inspiring resort pools in the world, including the SkyPark infinity pool at Marina Bay Sands in Singapore, and the Beau Rivage rooftop pool and spa in Biloxi, Miss. We have been involved in nearly every type of swimming pool construction and water feature design project there is: From covering an entire mountain (amusement park attraction) in PVC lining, to building an indoor water park wave pool on the 12th floor of a resort, to the world’s highest, longest elevated pool, we’ve pretty much done it all. When space constraints or design prerequisites require that a pool goes above ground or on a roof, a Natare stainless steel elevated pool is the answer. A Natare elevated pool can easily be designed to create a unique atmosphere with a variety of depth changes, seating, stairs, spas within the pool, and much more. Natare designs and manufactures high-quality pool equipment and systems necessary to successfully construct, renovate and operate aquatic facilities and water features. Natare projects run the gamut from international competition venues and university training facilities to the world’s most luxurious resort pools and spas.